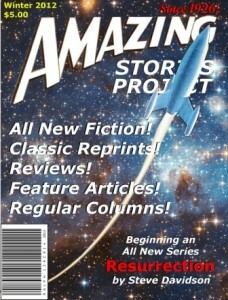 Amazing Stories’ inaugural Gernsback Science Fiction Short Story Contest will begin taking submissions on July 1. The contest will accept up to 100 short stories of 2,000 words or less, with submissions closing when 100 submissions have been received or on July 31, whichever comes first. What will the Solar System look like 250 years from now? Amazing will use Submittable to take entries. Incoming SFWA President Cat Rambo, Dave Creek and Jack Clemons have been selected as the judges for the inaugural contest. Following an initial screening, 20 nominated stories will be forwarded to the Judging Team who will then rank the top 10 finalists in order. The 1st thru 3rd place winners will be paid 6 cents per word. 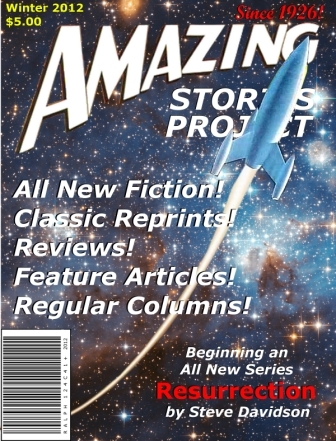 All finalists will receive a “certificate suitable for framing” and publication in Amazing Stories. An anthology is contemplated as well. This entry was posted in Awards and tagged Amazing Stories, Cat Rambo, Dave Creek, Gernsback Contest, Jack Clemons by Mike Glyer. Bookmark the permalink.